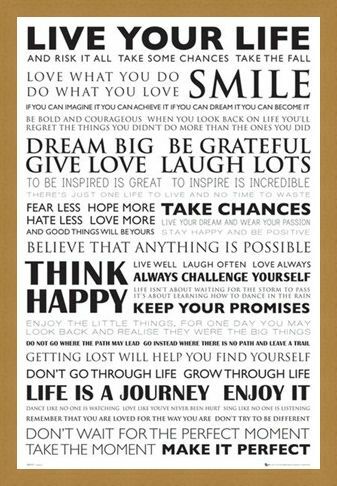 Motivational Maxi Poster: This motivational poster will give you inspiration on how to live a better life. 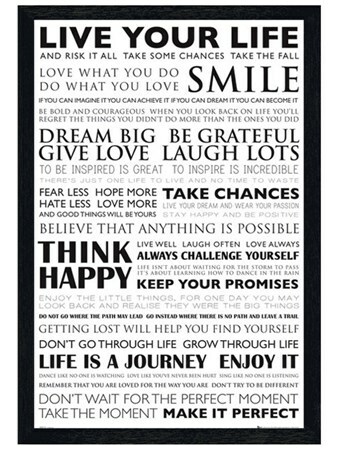 With highly inspirational mottos such as 'dream big', 'think happy', 'give love, laugh lots' and 'fear less hope more, hate less love more', this maxi poster will give you daily food for thought. 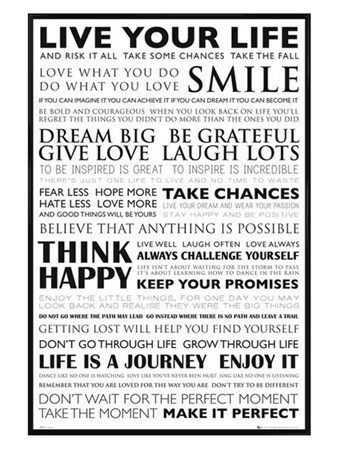 With a very sophisticated black and white design, this poster urges you to smile and believe in yourself. 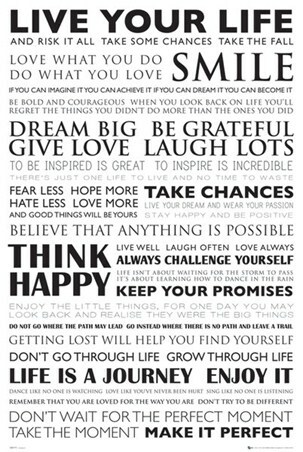 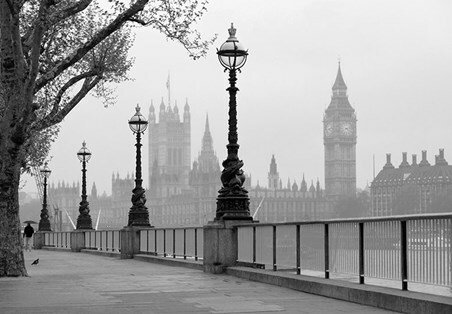 So sit back, relax, and be happy, life is beautiful! 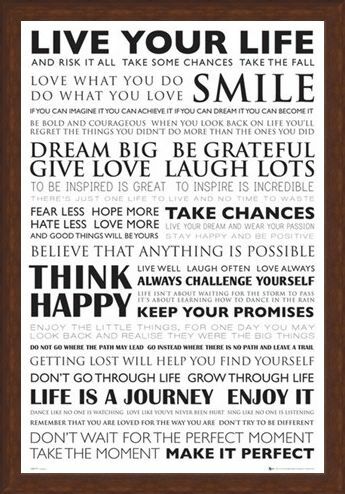 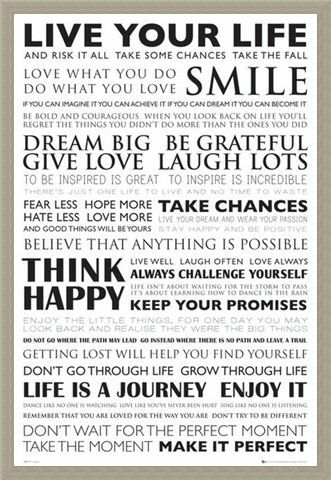 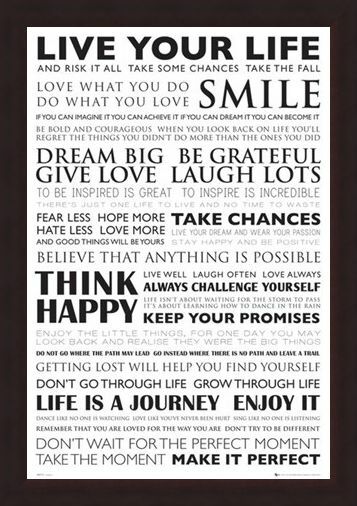 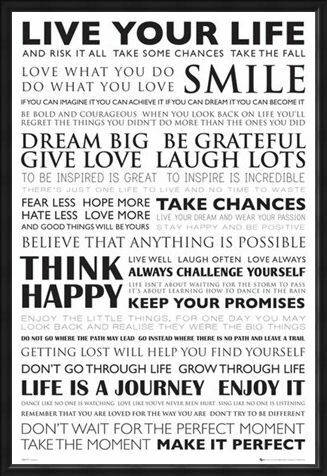 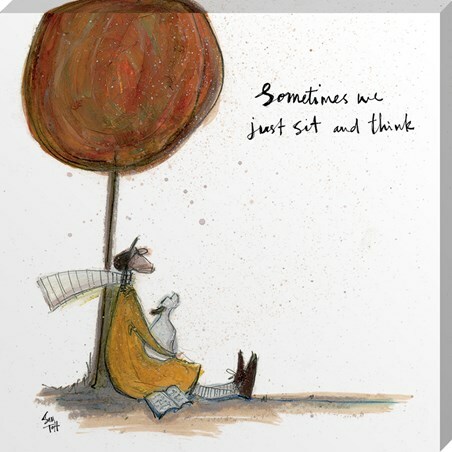 High quality, framed Dream Big, Think happy and Smile poster with a bespoke frame by our custom framing service.